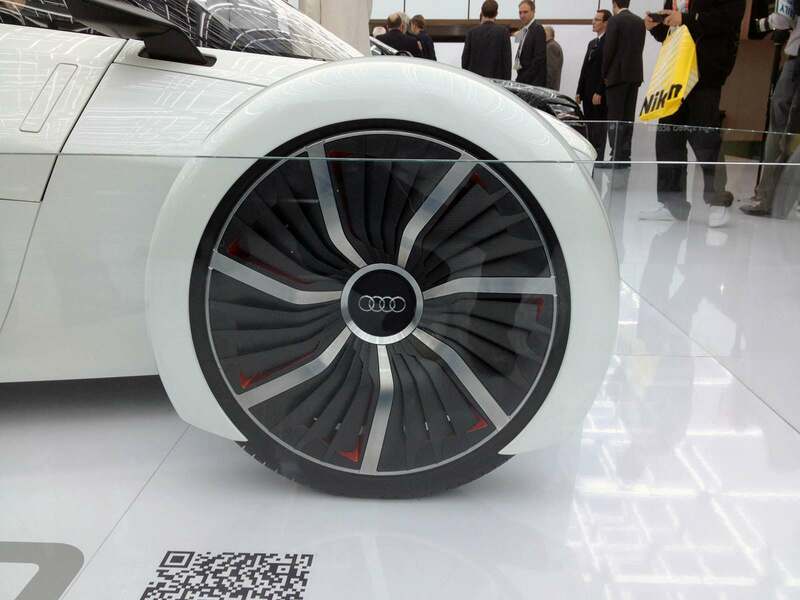 The Audi Urban Concept – which debuted at the Frankfurt Motor Show in 2011 – was designed as a vehicle for contemporary, lifestyle-oriented people who live in metropolitan areas. 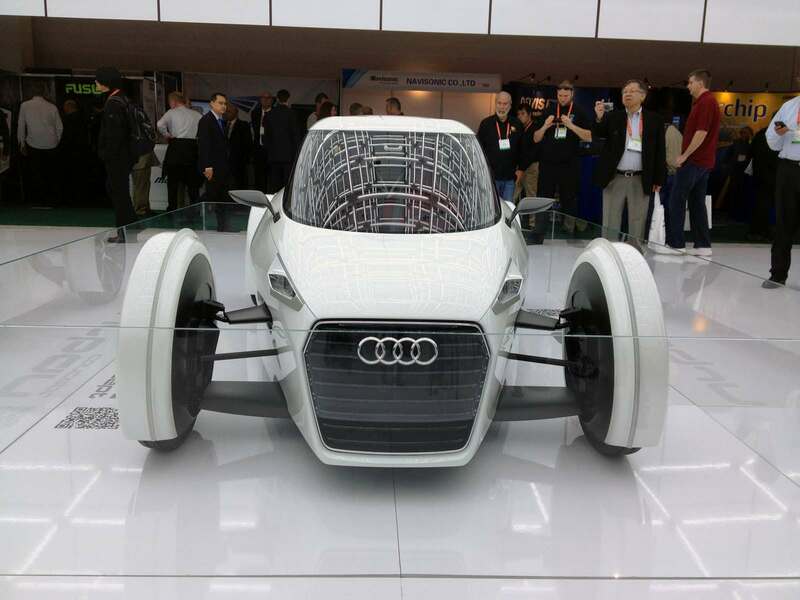 The electrically powered showcar with its slender body weighs just 1,058.21 lb and was built by Audi ultra- lightweight construction methods. It combines the elements of a race car, roadster, fun car and city car to come up with a single concept that focuses on the pure essence of driving. 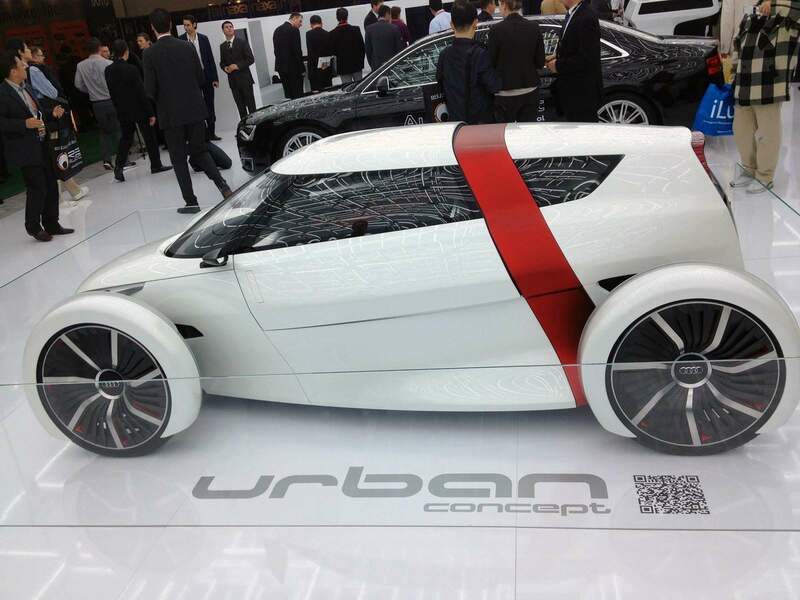 The outer skin of the Audi urban concept consists of carbon fiber reinforced polymer (CFRP). The occupant cell is a mix between a CFRP monocoque and an aluminum structure; it integrates the lower sub-assemblies of the two seats. The roof slides open and can remain open while driving. Audi has developed a convertible Spyder in parallel to this body variant. Its identifying characteristic is its band of low wrap-around windows, and its doors open diagonally upward. Two persons sit next to one another in the cabin with a slight offset; they sit in a low sporty position. 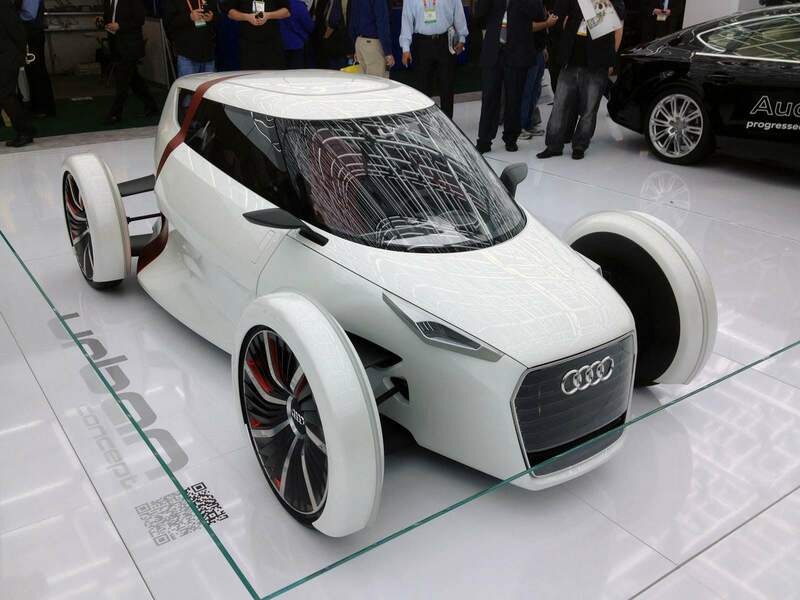 All controls and materials follow the principle of Audi ultra- lightweight construction. The steering column of the innovative 1 + 1 seater is free-standing – it is made of a sturdy profile with elegant styling, and it is mounted nearly horizontally. The small hexagonal steering wheel has buttons and turn wheels for user control, including for the electric drive‟s driving program. A display in front of the driver displays all key information. The lithium-ion battery is mounted transversely behind the seats; it stores 7.1 kWh of energy. The two electric motors between the rear wheels produce a total of 15 kW (20 hp) of continuous power and 47 Nm (34.67 lb-ft) of torque – enough for dynamic traffic light sprints. 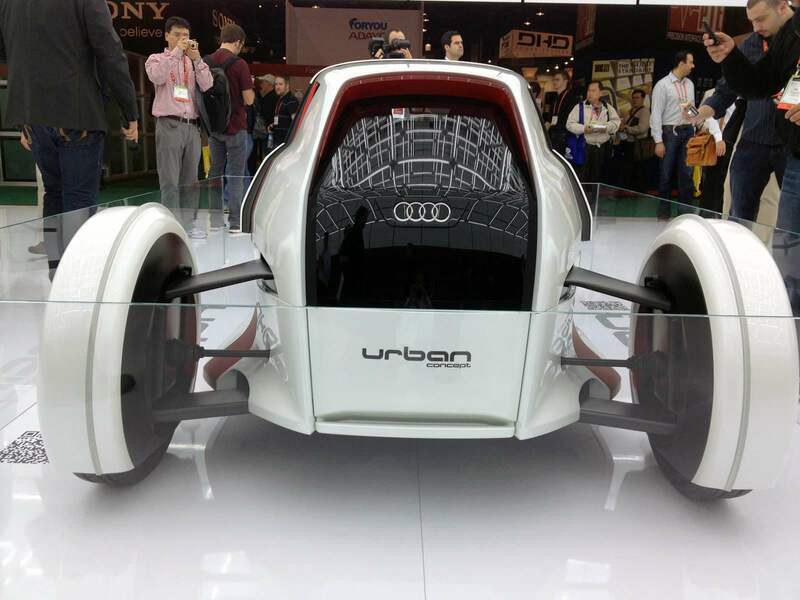 The chassis of the Audi urban concept is also high quality. Wishbones made of aluminum and CFRP are used to control the independently suspended 21-inch wheels; they are covered by wrap-around protective panels in which LED turn signal strips are integrated. The springs and dampers are designed in pushrod technology, and four disc brakes handle braking.